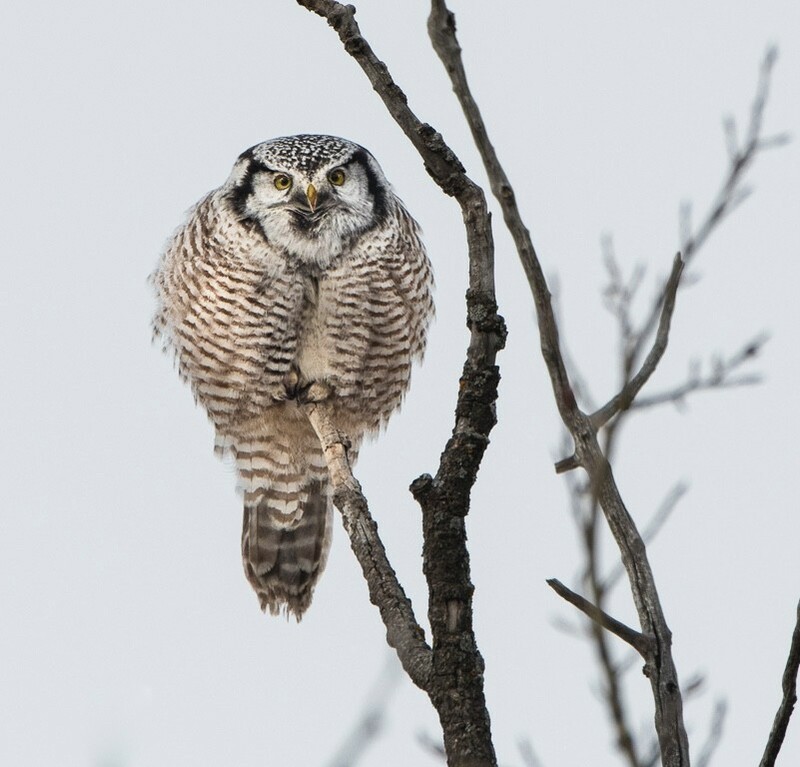 There is not much a bird photographer can do about bad light. You may return to the location when the light is better or make an attempt in Photoshop to add a better background. The first option - returning to the location in good light is the best option. 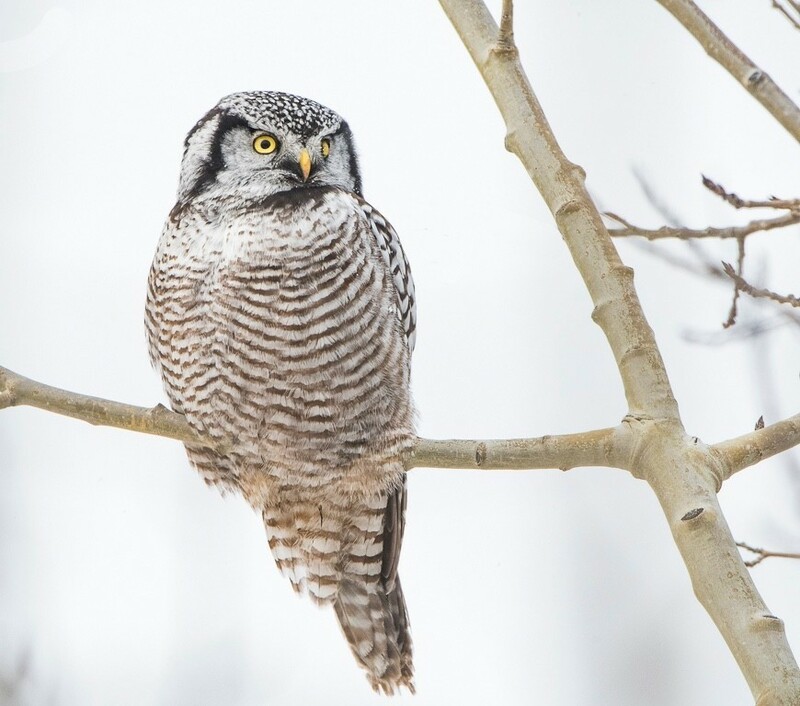 However, as any bird photographer knows, birds don't hang around, especially a Northern Hawk Owl. 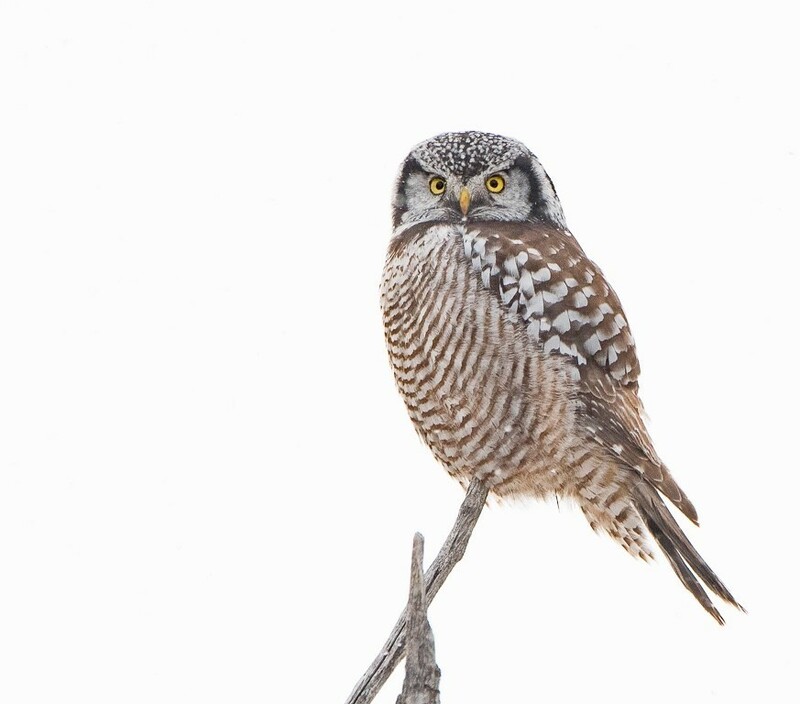 I went and photographed the Northern Hawk Owl to the right and got some bad overcast light. just as I was approaching the location the clouds rolled in and it began to snow lightly. With the owl silhouetted against the sky, I only had one option. I over exposed the owl by three stops and added a little more exposure adjustments in Lightroom. My editing skills in photoshop did not produce a good effect, so I went with the white background.